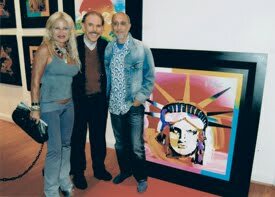 Part of our Historic researches on the Pop artist PETER MAX. Little is know about Peter's first marriage, even if his two children were the result fro this union. We happened to obtain a set of 6 x 6 cm contacts which could probably contain both Peter and Mrs. Liz. Our online research did not produce a single image of this 1969 to 1976 period reflecting this relationship, and nothing could be found on her, except perhaps a North Carolina obituary with the same name. Elizabeth Ann Nance (m. 1963, one son, one daughter) Son: Adam Cosmo (b. 1964) Daughter: Libra Astro (b. 1966). Divorced 1976. Quote from an online source: "We had millions of dollars coming in, but millions going out, too," says Max, who found after the dissolution of his business that he was $500,000 in debt. He has since paid off the creditors by selling his paintings. His marriage to Liz Nance, a former North Carolina beauty queen and mother of his two children, Adam Cosmo, 12, and Libra Astro, 9, has not escaped change either. The Maxes are still married but increasingly independent. Max lives in his two-story studio and Liz lives nearby. 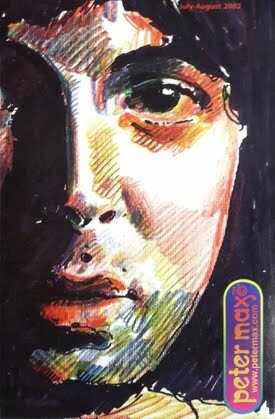 His current muse is Ford model Roseanne Vela, inspiration for many of Max's current paintings. Peter second marriage - MARY BALDWIN. Circa 1999.
" PETER MAX favorite topic, endearingly, is his Muse -- wife Mary Max. "She's so stunning," he sighed, sounding 17 instead of 71. How'd they meet? Max exited his New York studio one day about a decade ago and spotted one Mary Baldwin chatting with friends on the sidewalk. She was no stranger: he'd doodled her exact profile for years. Max rushed into his studio, returned with a drawing and handed it to the stranger, blurting, "I've been drawing you all my life." His crush was politely unimpressed. "Her friends said to her, 'That's Peter Max!' And she said, `Who?'" He gave her his number, fretted until she called, then coaxed her to go to lunch. And that was that. "I remember reaching over the table, kind of clumsy, and putting my palms on each side of her face and saying, 'I'll take care of you for the rest of your life,'" he said. 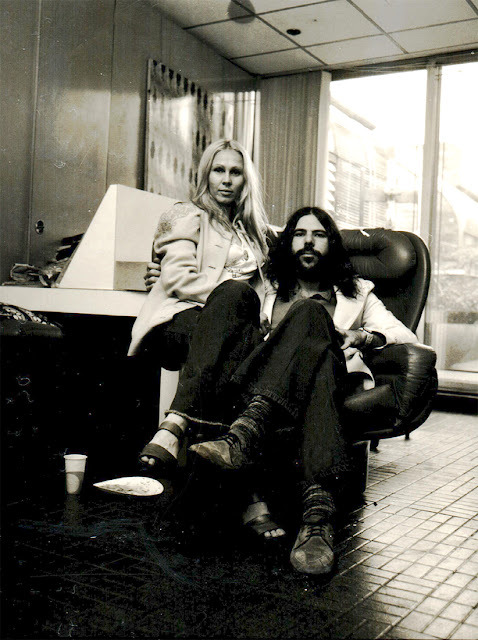 "And she put her hands on my hands and said, `You're in good hands with me.'" They married the next year. 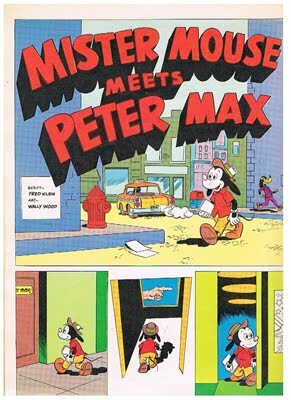 Actually, Peter allegedly has some health issues and there has been a family financial quarrel between Mrs. Mary Max and her step-sons, reportedly related to their Estate and assets. 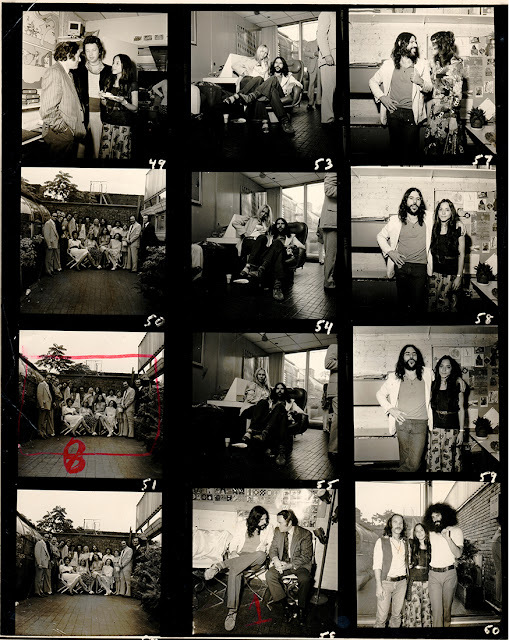 This set of 6 x 6 cms contacts could be one of the few or perhaps the only image available online of Peter with Mrs. Nance, other intimate stories also contained Rosie Vela, a super-Model that also shared some time with Peter The date seems to be physically appropriate. The images could have been a private reunion of friends and family either at Peter's home or elsewhere. We hope someone can come up with additional information and images of this first Peter's marital relationship in order to have more historic data. Probably, Mrs and Mr. Max Jr. can clarify this unknown info. THE PETER MAX Studio is giving a new twist to the brand name, and this will push it deep into the XXIst century, and cementing the foundations for an unavoidable Peter's absence, somewhat the Warhol Foundation model. Meanwhile, all his original collectibles, be it magazines, franchised objects, books and unique memorabilia of the past will be much more desired than any canvas made after 2010. Meanwhile, be very weary of forgeries especially of mixed media and acrylic canvases, and preferably purchase only pieces where Max is present and signs the back of the artwork, since many times even the file number, Provenance and COAs can also be very questionable. "The MAX Collector" - a blog dedicated to Modern and Pop art with items, news and general information on Peter Max, Robert Indiana, Sam Lea, Nicolas Leiva and other artists. 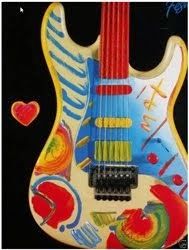 The PETER MAX name is property OF PETER MAX N.Y. THE MAX COLLECTOR is a domain property of Ed Gugliotta, Miami. Most of the images by Edmund Gugliotta. Awesome Inc. theme. Powered by Blogger.